This Vegan Chocolate Banana Smoothie was made on a day when it was pretty hot. 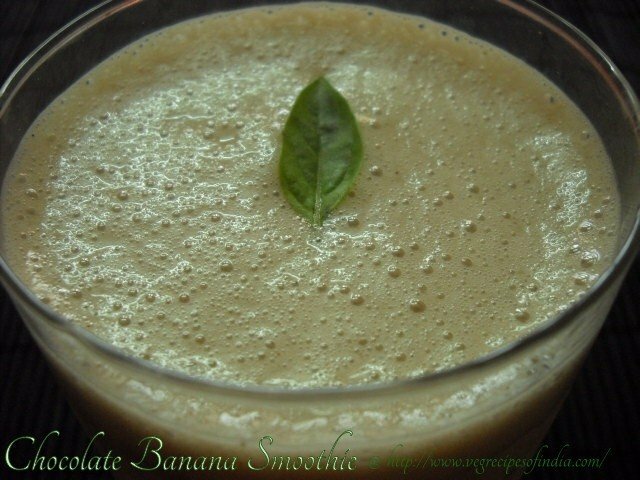 I had some ripe bananas and in a whim, I decided to make this vegan chocolate banana smoothie. I had earlier bookmarked the original smoothie recipe from Dr Ben Kim’s site and have adapted it from here. 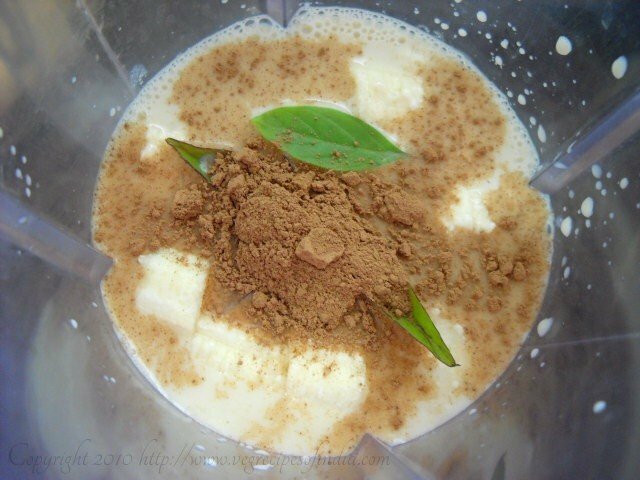 The original smoothie recipe uses vanilla beans and almond milk. 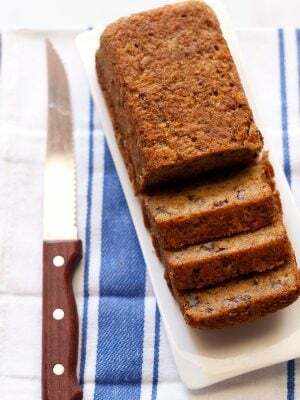 I had vanilla beans, but I intended to use it in a cake or dessert, that I will make soon. So I have not added the vanilla beans. I did not have almond milk, so I have used soy milk. I also had some spare thai basil leaves and I have added these too the smoothie. 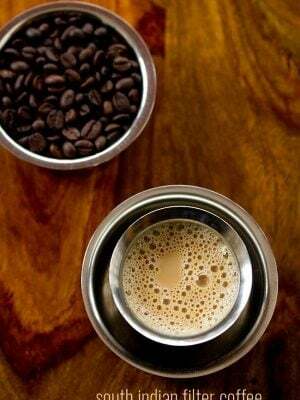 As far as the soy milk is concerned, you really need to adapt your taste to soy milk…. if you are new to it. Its very different from regular milk. I had ready made soy milk. But if you want, you can make the soy milk and also tofu at home. 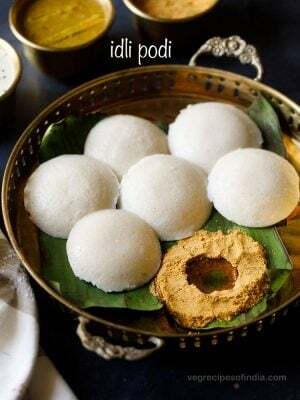 You will find very nice illustrative posts with step by step pics on health food desi videshi (Sangeeta’s blog) and desi soccer mom (Jaya’s blog) for making soy milk and tofu at home. 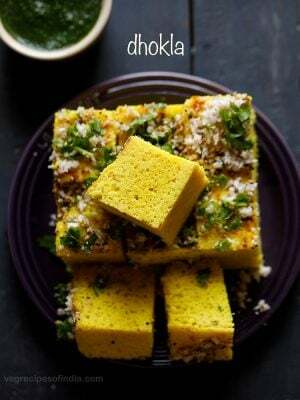 If you are looking for similar recipes then do check Mango Banana Papaya Smoothie, Vegan Banana Bread, Mango oats Smoothie, Eggless Chocolate Cake and Eggless Banana pancake recipe. 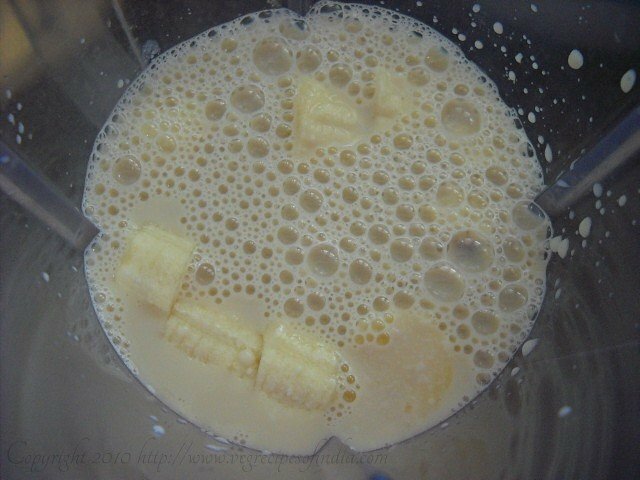 Add the chopped bananas, soy milk and sugar in the blender. Add the thai basil leaves. Now add the drinking chocolate. Add the ice cubes and blend for a minute or two. 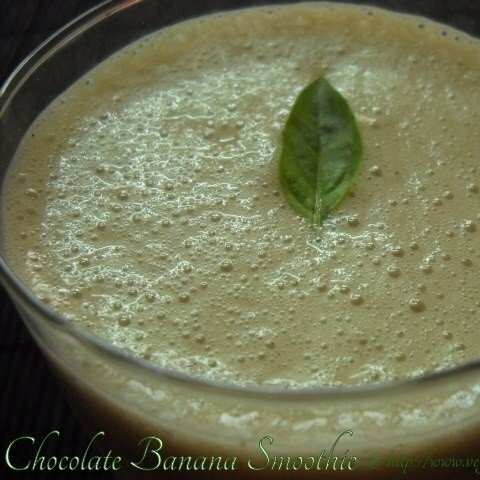 Serve Chocolate Banana Smoothie garnished with thai basil leaves. Enjoy this healthy and delicious smoothie. Thanks for the link Dassana. 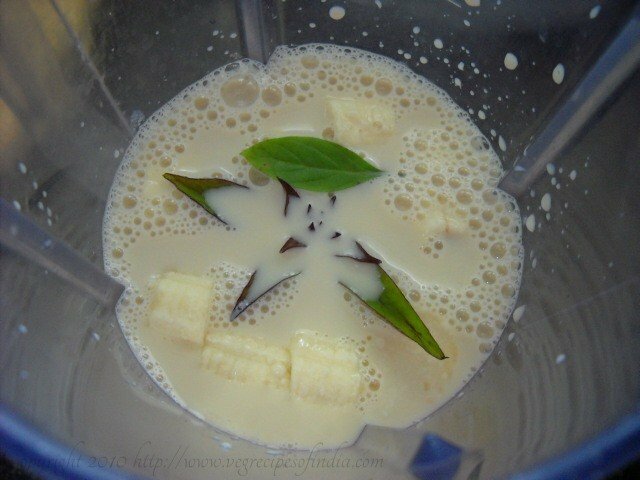 This milk shake with soymilk , banana n chocolate powder i used to make for my daughter and me n my husband used to have the smoothie without chocolate . This is the only way we could consume soy milk actually. The inclusion of thai basil in this smoothie is really interesting and i need to try this sometime. you are most welcome sangeeta…. 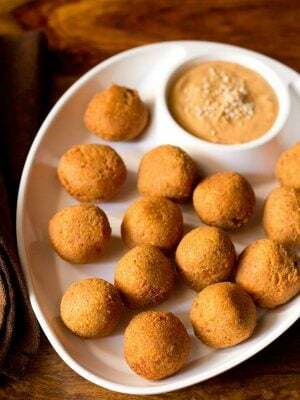 all your posts are so good and your soy milk and tofu post was the first post i came across for making these at home. I really liked this post. 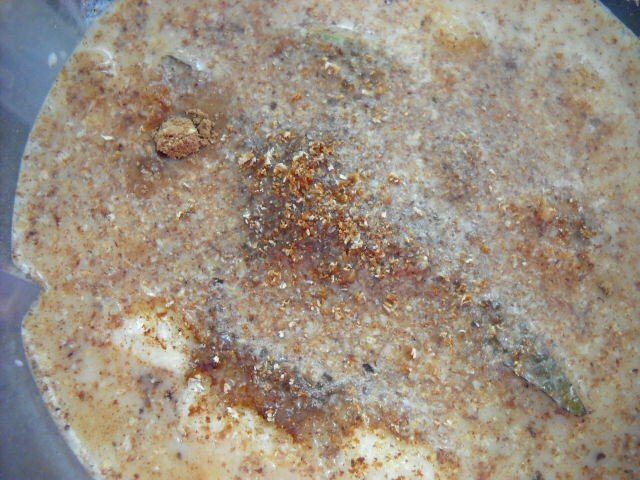 Not many of us know how to make tofu and soy milk at home, and your post does the job of explaining and illustrating everything very well, even for beginners. 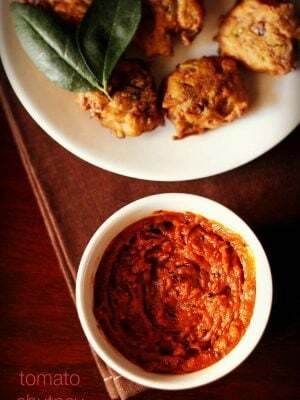 I really admire the energy, effort and patience you put in your cooking and all your posts. and thanks for sharing this personal experience of drinking soy milk. We had a not so nice time having soy milk in tea. It was slightly difficult adapting to the taste of soy milk, but now we have got used to it.